Work to complete the central pavilion at the Traralgon West Sporting Complex could begin within the next few months. 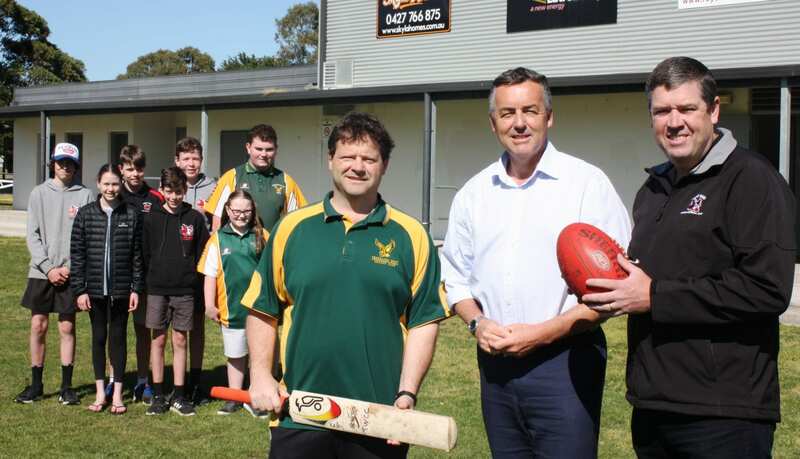 The Nationals Member for Gippsland Darren Chester has secured $300,000 from the Federal Government to fit out the new clubrooms for Traralgon West Cricket Club and West End Football Club. Designs are being finalised and the tender process is expected to begin before the end of the year. “If everything goes to plan, the pavilion could be completed for use during the next football season,” Mr Chester said. “The bottom level of the pavilion has been well-used over the past seven years since the pavilion was opened, but the top level has remained an empty shell. “It was a shame to see the building was so close to completion – all that was needed to get the job done was money. “I’m pleased that we’ve been able to secure the funding to line the walls and lay floor coverings; and to install kitchen and bathroom facilities. The Federal Government funding is being provided through the $20 million Latrobe Valley Local Jobs and Infrastructure Package.